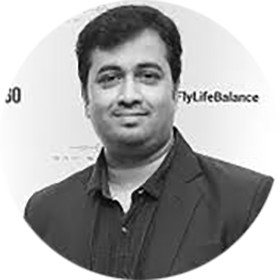 Naveen Perla is the COO at JetSetGo and Business Head at SkyShuttle. JetSetGo operates India’s largest private jet and helicopter fleet and currently holds over 30% of the total market as the single largest market shareholder. JetSetGo hosts a global network of suppliers and a trained in-house ground operations unit for their fleet of aircrafts, which helps them achieve economies of scale, thereby increasing the efficiency and reducing overall costs - an unmatched competitive advantage.